A must see for anyone visiting Le Lot. 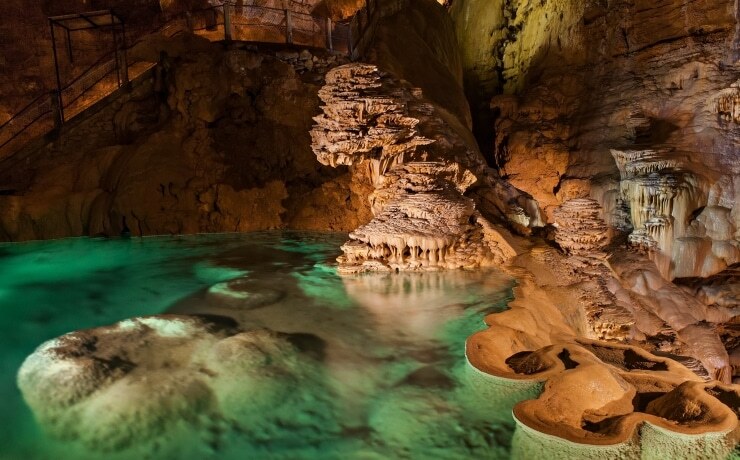 This natural cave is a magical place where, at the end of a vertiginous drop, you’ll get to enjoy a ride on a gondola! Impossible to miss the most beautiful chasm in France, and the most famous in Europe! 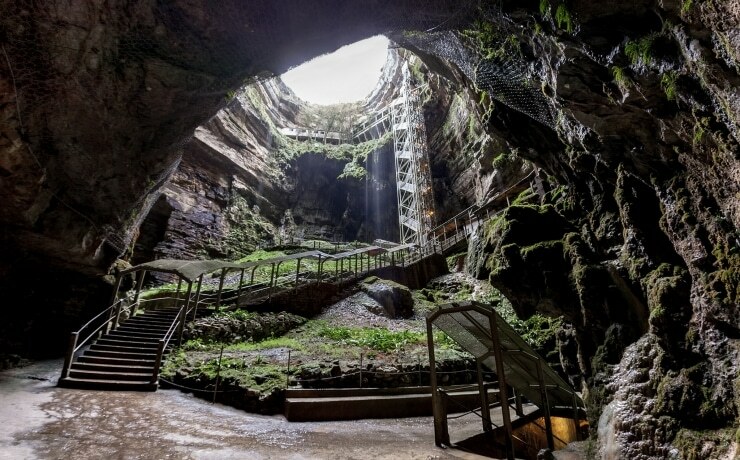 You’ll find details and information about the “Gouffre de Padirac”. It is one of the most visited sites in France, so you’ll need a little planning to enjoy it. Planning you trip a few days in advance and booking the visit on the internet is ideal. When you get there, you can choose to walk down or take the elevator down the 100m or so. Walking down is fairly easy and is a great way to enjoy the open part of the chasm. Watch for slippery steps when it’s humid out and always comply with safety instructions…hold the handrail ! It will transport you to another universe. It’s magical, almost surreal! 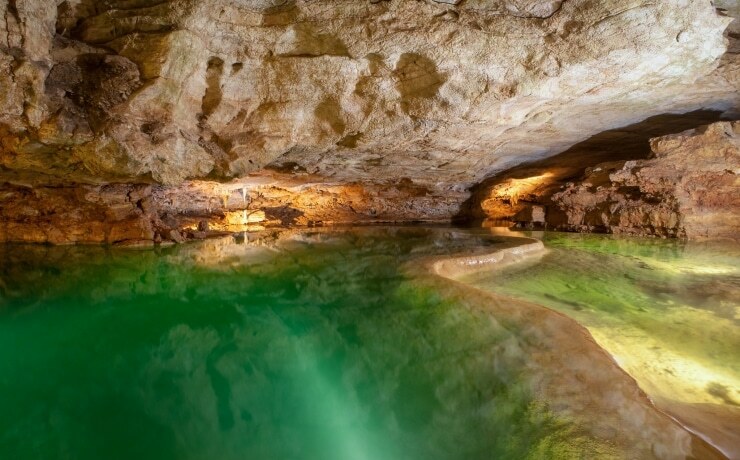 You’ll feel like you are in an underground Venice ! 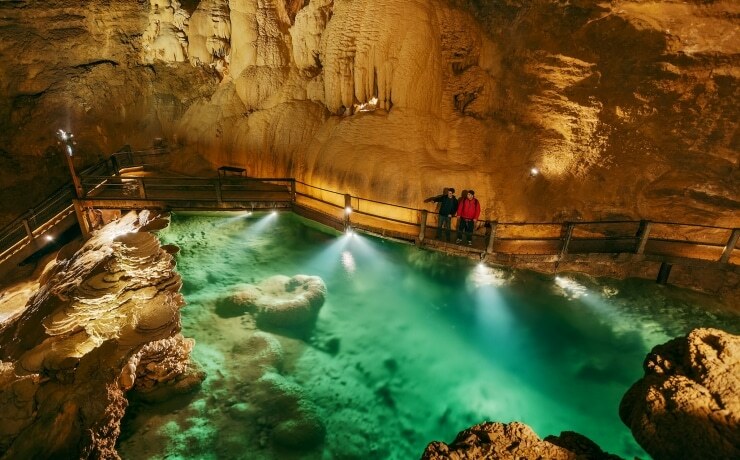 One great thing about the site is the variety of the caves, each with distinct features: giant stalactites , candelabras, calcium falls, underground lake, tons of concretions… We especially love the Lac des Gours with its large shallow ponds in succession, like so many emerald gems. The light reveals the purest of water and brings us back to ancient eras when pollution did not mean anything.